What does it do: It works your TV and DVD whilst doubling up as a bottle opener. The device sports a specially constructed opener into its design while also offering full programmable operations over your DVD and TV as well. 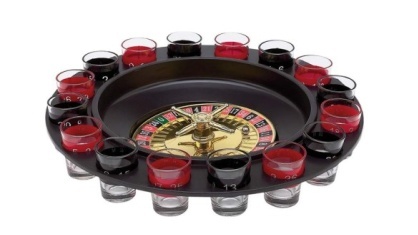 What does it do: The novelty drinking set is made up off a roulette wheel with a set of shot glasses. Players spin the centre, drop in the token ball and when the ball lands on the numbered glass, the winner has to simply down it. What does it do: It opens beer bottles! 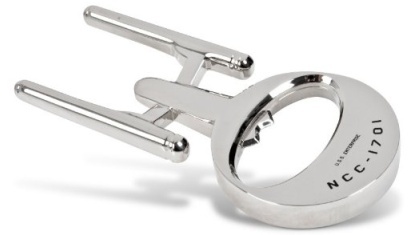 Ok, we admit it doesn’t sound impressive, but maybe you haven’t noticed that the bottle opener is shaped after Captain Kirk’s ship itself— the USS Enterprise. Arguably this stands as one of the coolest movie merchandise bar novelty item around, less of course you’re a Star Wars fan. What does it do: Like the packaging says, it allows you to churn out delicious ice cold frozen Margaritas. 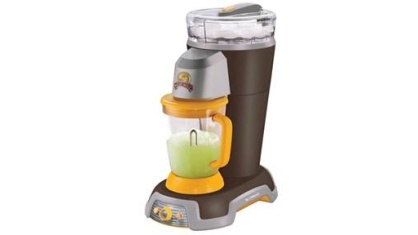 No different from any other blender, it does however have one distinct advantage, it works via rechargeable batteries, which means you can take this baby with you any way, including into the hot tub. Can you think of a better way to spend Christmas? 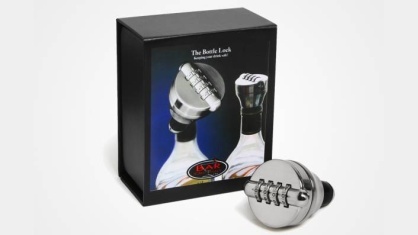 What does it do: In a nutshell, it keeps your precious bottles of booze locked up tight via a combination lock. Yes, it does sound a bit extreme but there’s certain usefulness to the device, it will undoubtedly keep unwanted intruders away from your wine and liquor stash.